Amazing shawl for every women. Shawl is inspired by the dark dusk. Is made in beautiful, strong colors. The scarf has a wonderful texture in the form of 3D. 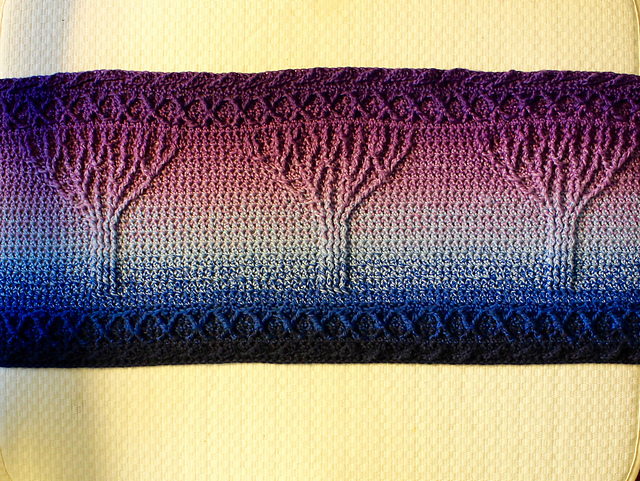 Trees on the shawl are sewn with a cable stitch. It looks impressive. Shawl is perfect for any styling. It is a very funny crocheted pattern. It is not a difficult pattern. This scarf should find a place in your wardrobe. It’s a free pattern. It is a very spectacular scarf. You can make a scarf in three sizes. Pattern from yarn Scheepjes Whirl. Good luck! 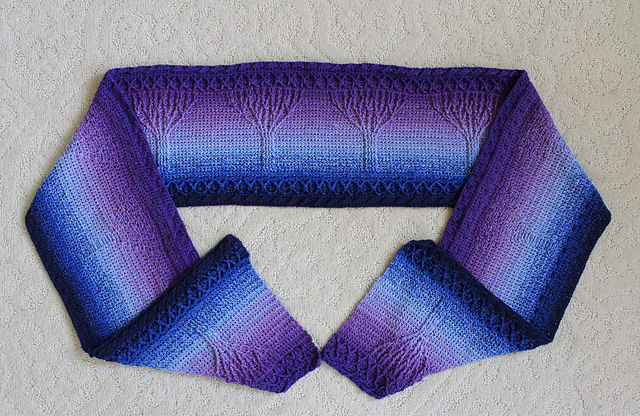 Twilight Shawl Free Crochet Pattern is here.